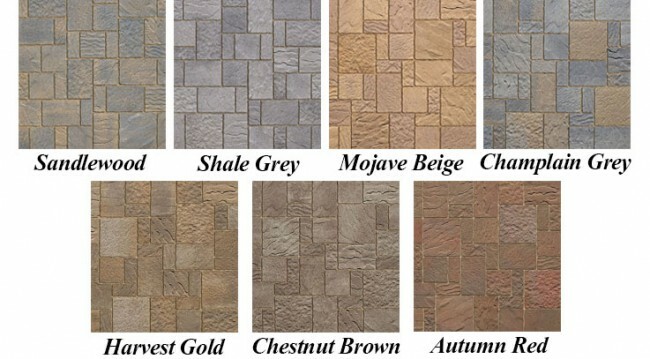 Are you looking for the perfect paver for your new patio? 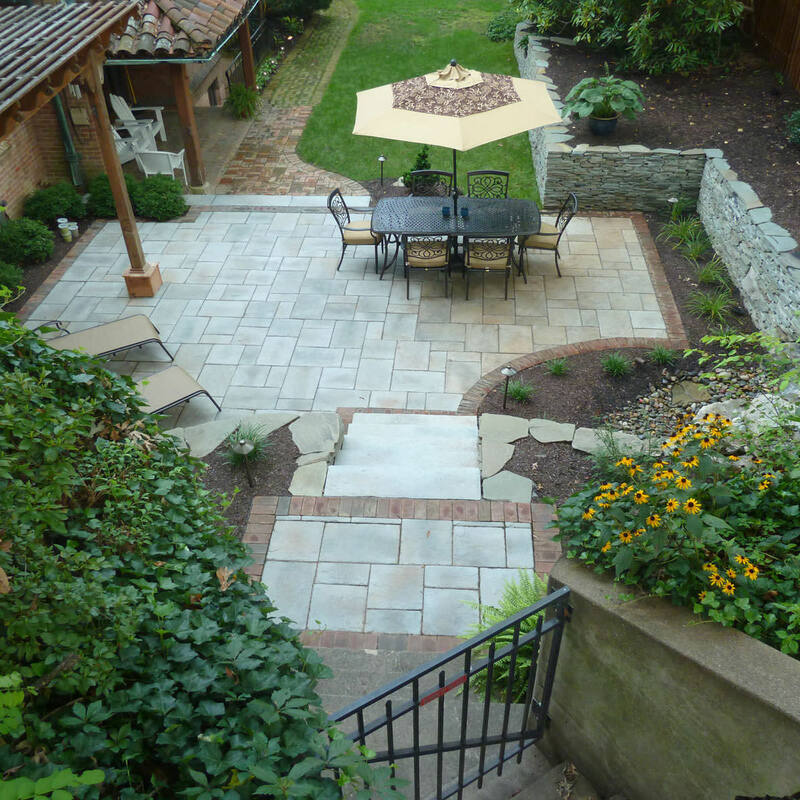 To some, choosing a paver for their new patio or walkway doesn’t seem like such a big deal. Let me put that idea to rest, because it is a bigger choice than you would think! 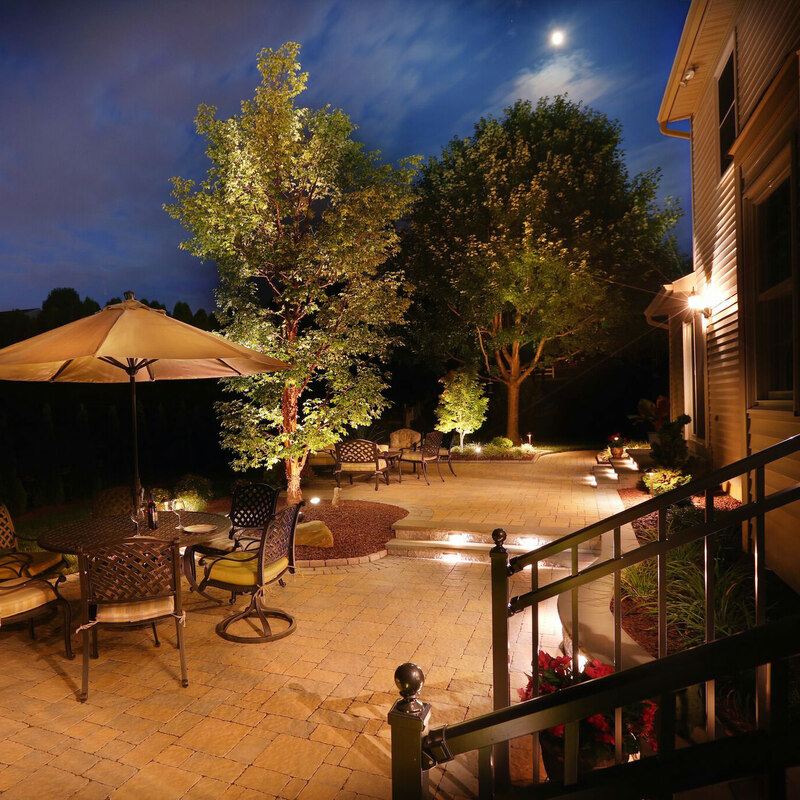 Just as you would put thought behind every outdoor light fixture or your decking material, pavers need to be practical yet beautiful. If you install a paver product that you end up not liking down the road, or doesn’t look too great after years or wear and tear, you know you will gripe when looking at every prom or graduation picture taken on that patio! Your patio is your sanctuary, your escape from the day-to-day, where you play with your children, it deserves a little consideration! This week we will focus on Techo-Bloc Mista pavers. These pavers are produced in Canada and the United States and are specially made for residential pedestrian and light to moderate vehicular use. This is the ideal hardscape material for driveways, patios and swimming pool decks! Techo-Bloc has several complete lines of pavers, in all shapes, sizes and colors. The Mista Grande pavers are a heavier duty paver, usually used for driveways and a little heavier traffic and can be installed to be impervious or permeable. 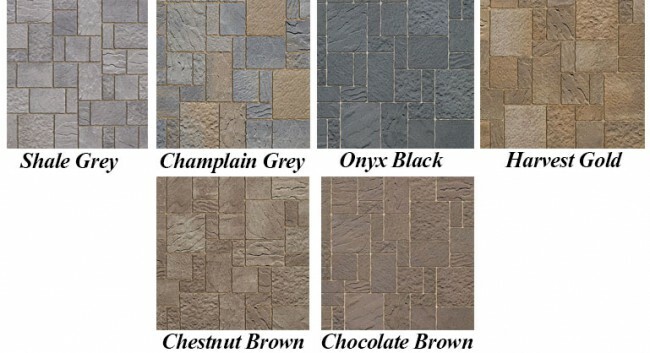 This line of pavers can be found in the colors Shale Grey, Champlain Grey, Onyx Blac, Harvest Gold, Chestnut Brown and Chocolate Brown. Note how the three different dimensions of the pavers seem simplistic yet classic whether laid out in a modular or linear pattern. The Mista Random Permeable pavers are a litle but thinner of a stone, than the Mista Grande, typically used for light vehicular traffic, pathways, swimming pool decks and patios. This line of pavers can be impervious or permeable as well and come in the colors Sandlewood, Shale Grey, Mojave Beige, Champlain Grey, Harvest Gold, Chestnut Brown and Autumn Red. 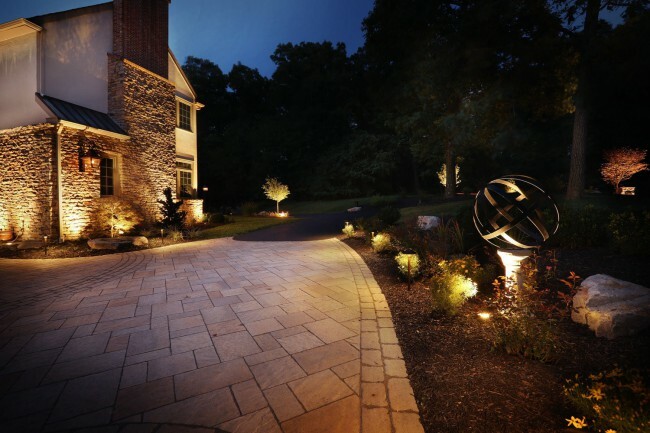 Whatever your hardsacpe vision is, Techo-Bloc has you covered! 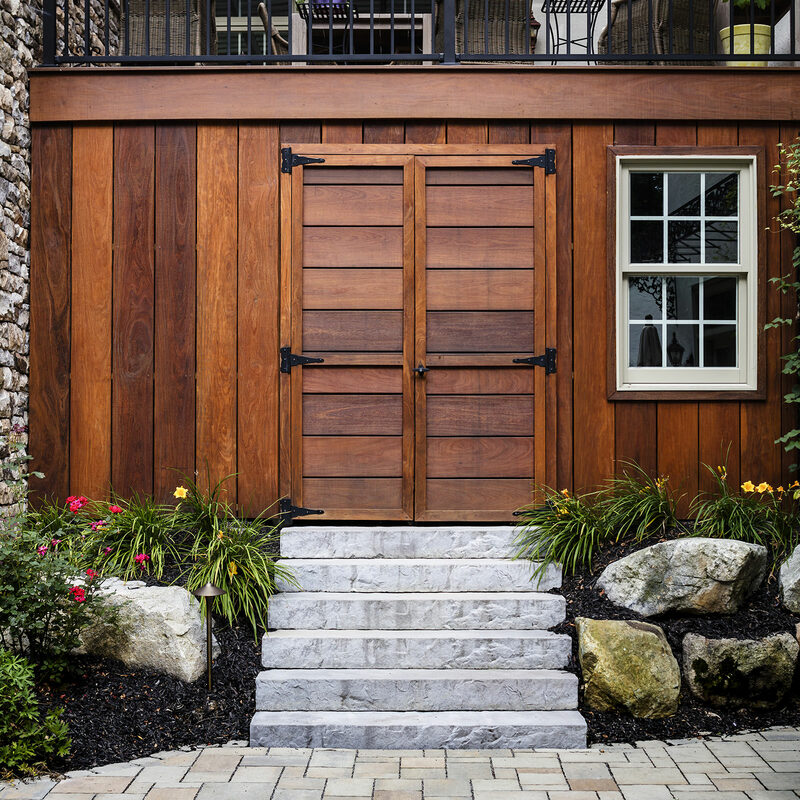 What sets Techo-Bloc’s pavers above the rest? 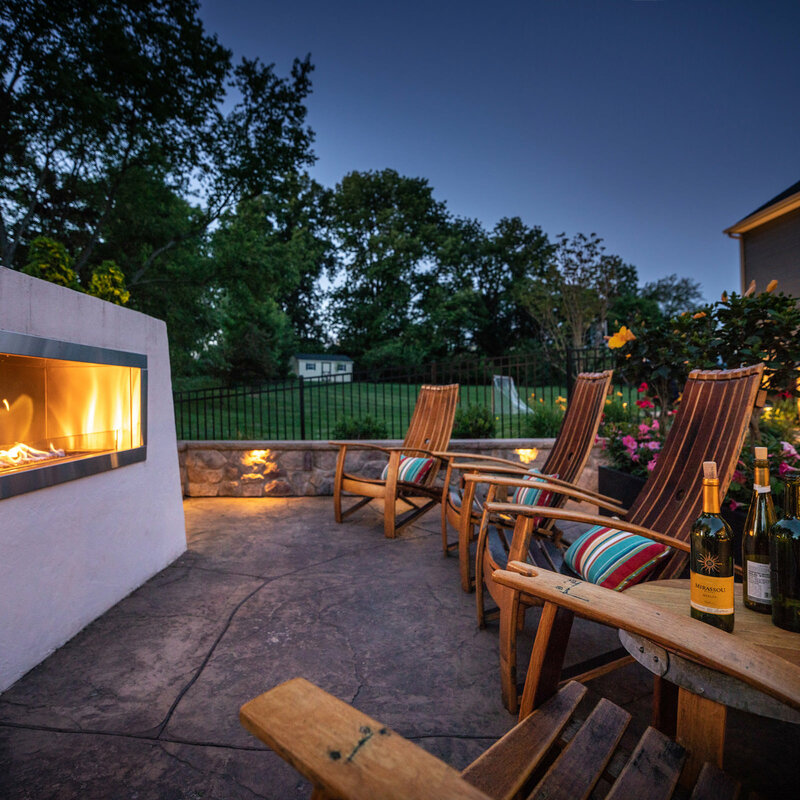 Techo-Bloc uses full color pigmentation throughout the stone as a whole, rather than just coating the stone with color. 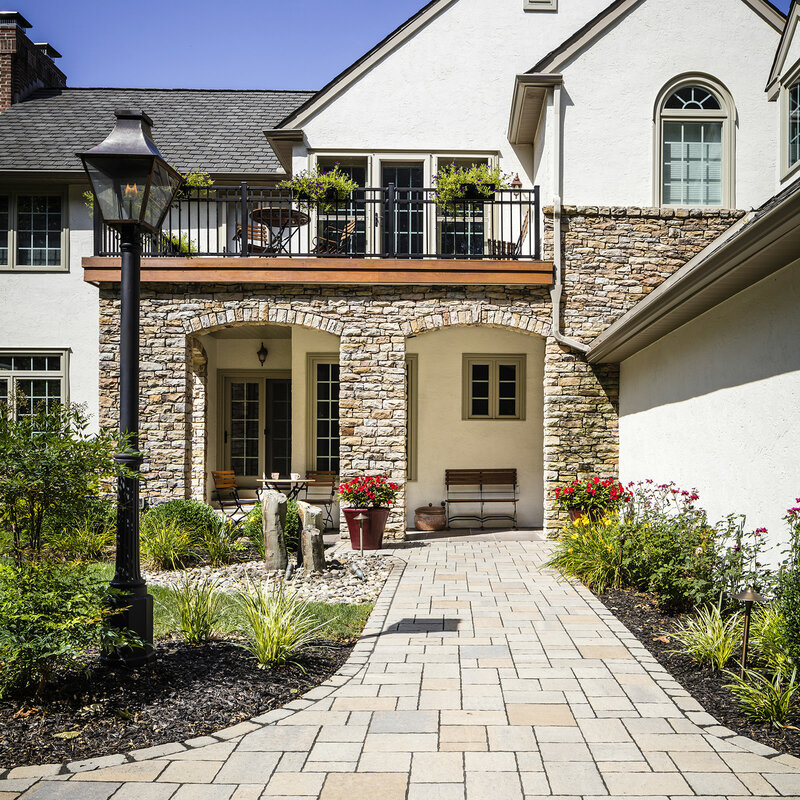 This insures that the stone pavers you install to add value to your home won’t fade over time because they are resistant to the sun’s rays! 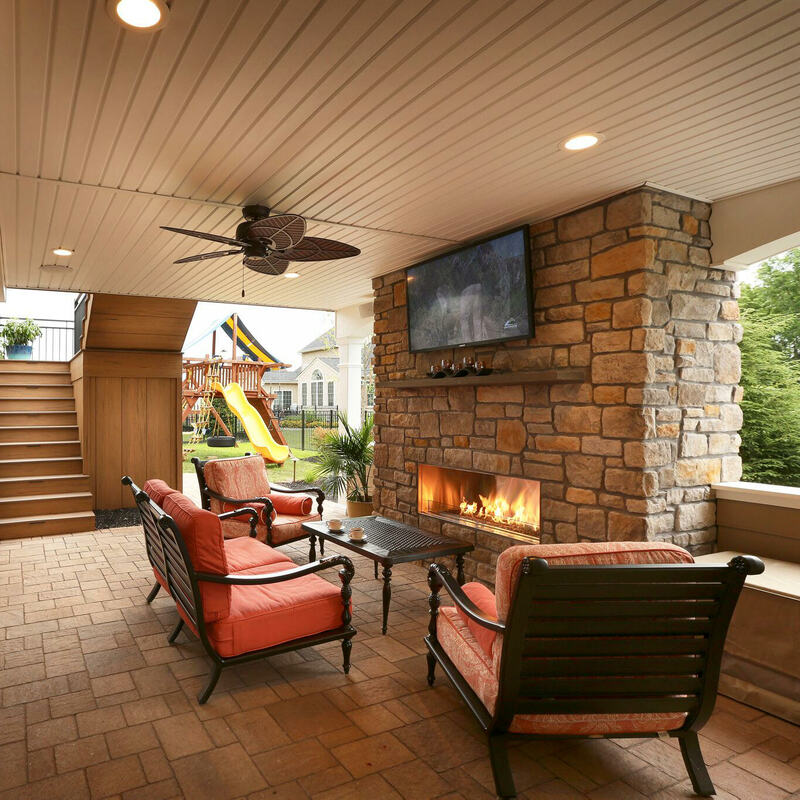 Even if you live in a region with harsh winters or intense heat, Techo-Bloc stands by their product and their warranty. 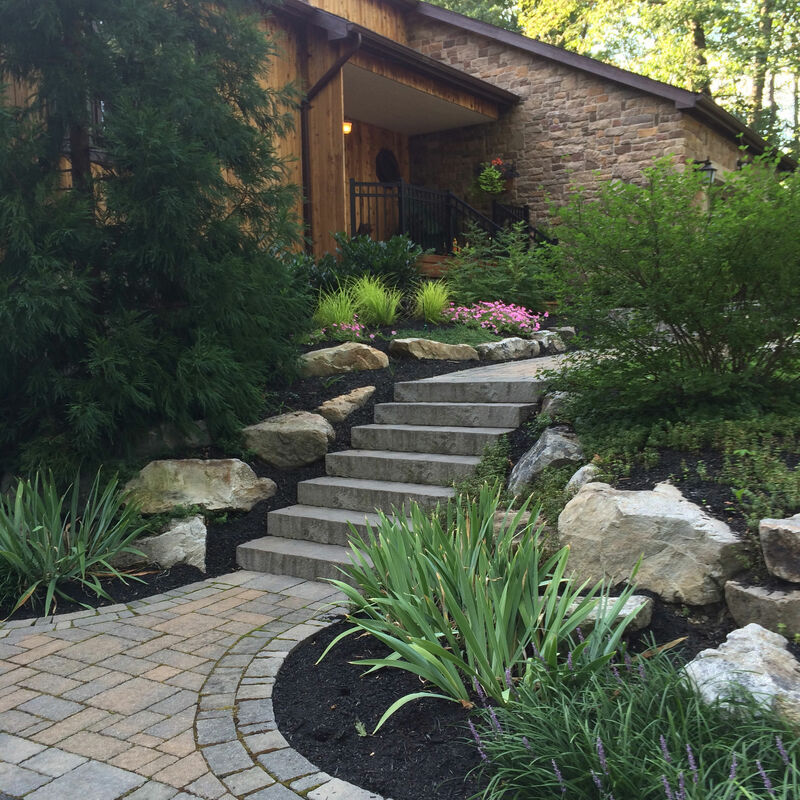 “Techo-Bloc offers a transferable lifetime warranty on the structural integrity of all paving stones and retaining wall stones it manufactures. It covers any disintegration and/or decomposition of the above mentioned products resulting from natural causes and the abnormal deterioration of the surface due to the use of sodium chloride (NaCl) such a de-icing salt. If products prove defective, we will replace these units.” Durability, functionality, beauty. With so many different manufacturers, brands, shapes, textures and colors out there, it would be beneficial to contact a landscape designer to help ease the anxious feeling you might get when trying to undertake such a project. 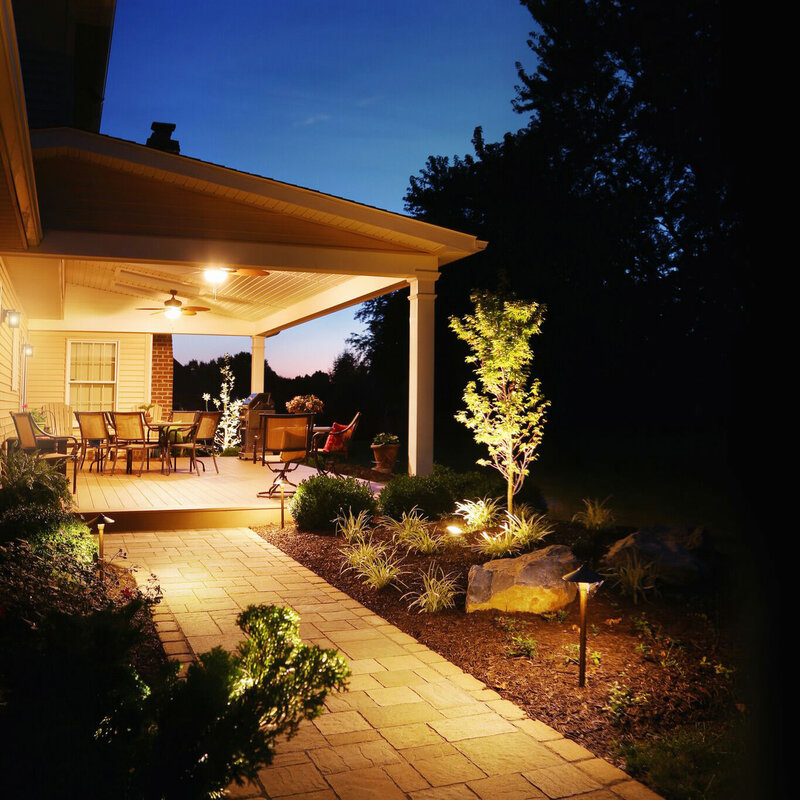 MasterPLAN Landscape Design is ready to lend our expertise and help guide you through the design aspect of your projects all the way though the build phase. 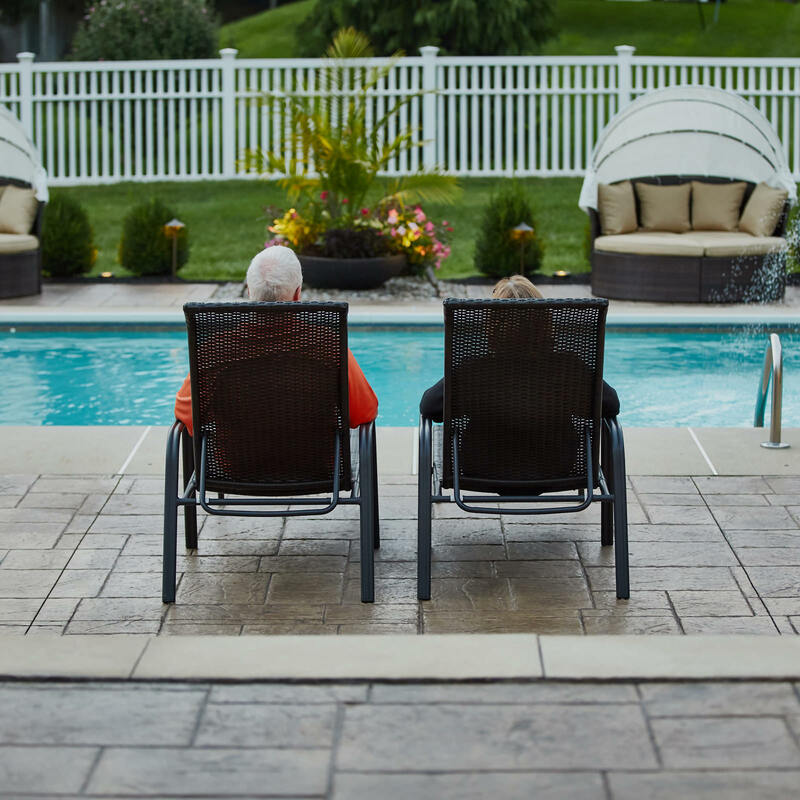 Serving the Poconos, the Lehigh Valley and through the Philadelphia areas, we are always on board to create something beautiful that you will love and enjoy for years to come.